UK annual car sales have reached their highest levels since before the recession, with premium brands such as Audi and Land Rover leading the charge, according to figures published today. The Society for Motor Manufacturers and Traders (SMMT) has released data showing new car sales in the UK were up 10.8% year on year in 2013, and that it has achieved 22 consecutive months of growth. The total number of registrations, over 2.2 million, represents the automotive industry’s best return since 2007. 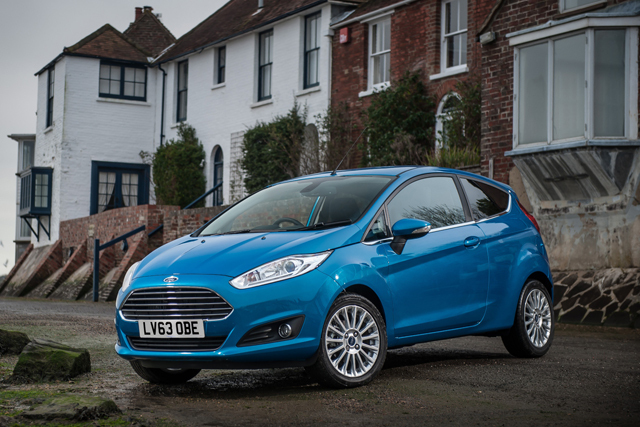 Ford remained the UK’s leading car brand, enjoying a market share of 13.8%, with its Fiesta model by a distance the UK's most popular car. A rejuvenated Vauxhall finished the year in second place, with a market share of 11.4%. However, the brands enjoying the biggest surge in sales were high-end marques such as Audi (up 15% year on-year), Land Rover (12%), Jaguar (15%) and Mercedes-Benz (19%). The SMMT said there was a continued consumer shift towards smaller "mini" and "supermini" segment vehicles. Meanwhile, registrations of hybrid and plug-in cars rose 20.5% year on year, albeit from a low base to 32,715 units. "We expect new car registrations to remain stable in 2014 as customers return to a more regular replacement cycle."